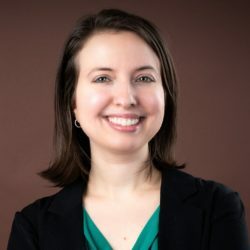 Joelle Ruben has more than 13 years of experience working on child and family issues in a variety of communications, policy, advocacy, and direct service roles. At JBA, she contributes to a range of corporate and project efforts encompassing publications, videos, websites, social media, and branding. Ruben’s skills include creating and implementing dissemination plans for a variety of audiences, translating complex information into plain language, forming strategic partnerships, writing, and editing. She is also adept at helping organizations strengthen their websites and social media presences. Prior to joining JBA, Ruben was a managing editor at JBS International, where she led content creation for a national clearinghouse for family and youth workers. She received an M.S.W. from the University of Pennsylvania.